Have you wanted to open a 3D Ultrasound Studio but have never touched an ultrasound machine? Are you afraid that you have to go to college to open your own 3d Ultrasound Studio? Well forget your past worries because 4D Peek a Boo is here to help! We hope that by doing this, we will be able to help our industry to continue to grow by leaps and bounds in a professional and ethical manner. Our 3D Ultrasound training covers both the clinical and technical concepts of 3D/4D ultrasound. During the training major emphasis is placed on hands-on scanning to swiftly develop 3D and 4D scanning skills. Our trainers are highly trained in 3D/4D Ultrasound applications on a variety of ultrasound machines. We have 3D Ultrasound training packages to suit all needs, from the experienced clinical sonographer to the new entrepreneurial who just wants to start their own profitable and joyous business. 4D Peek a Boo has developed a revolutionary new way to educate and train you in order to open your own 3D 4D Ultrasound Studio without having to go to college first. Description: Our hands-on private 3d/4d ultrasound training is provided at your location and on your equipment to ensure you get the best training possible. During this training session you will be taught how to operate your 3D/4D ultrasound machine (we will optimize your ultrasound equipment to achieve the best images possible), gender determination (gender determination as early as 14-15 weeks), how to perform 2D ultrasounds (included probe orientation, fetal orientation, fetal heart rate, placenta placement, understanding of common abnormalities & how to handle them), as well as the basic and advanced 3D/4D HD scanning techniques. All training is performed actual clients as well as a training phantom. At the completion of the training you will have the necessary skills to perform elective ultrasounds without guidance. Throughout the training, great emphasis is given to hands-on scanning of the pregnant patients to skillfully learn the ultrasound scanning techniques. All of our elective ultrasound training is done one-on-one for the best results possible. We offer our customers a range of courses, at the most times in many locations than any other 3D/4D training company around the globe. Individuals and businesses have the option to select from private hands-on-training by our experts and our courses are offered from virtually anywhere in the world. We can even provide training at your desired location. All you have to do is contact us. Many sonographers understand that 3D/4D ultrasound practices and concepts are not taught in many of the certificate or degree programs offered. 4D Peek a Boo has taken a step forward and has filled this gap in the educational sector by offering professional ultrasound training. It does not matter if you are looking to enhance the services or capabilities of your current business or are aiming to make a transition from 3D/4D elective ultrasound market; our business has the program that will suit your particular needs. Training for a present sonographer can be accomplished in just two days or less. 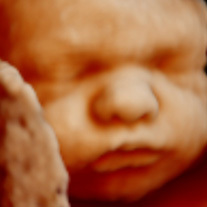 We have noticed that many individuals opt to open up a 3D & 4D ultrasound studio because they fear that they will not be able to carry out the ultrasound properly. We have taken away all of the guess work when performing elective ultrasounds. All of the training with 4D Peek a Boo is hands-on, with ultrasound phantoms or live patients. Once you successfully complete the training offered you will be able to handle 2D/3D/4D elective ultrasounds. The training for a non-sonographer can be accomplished in under a week.